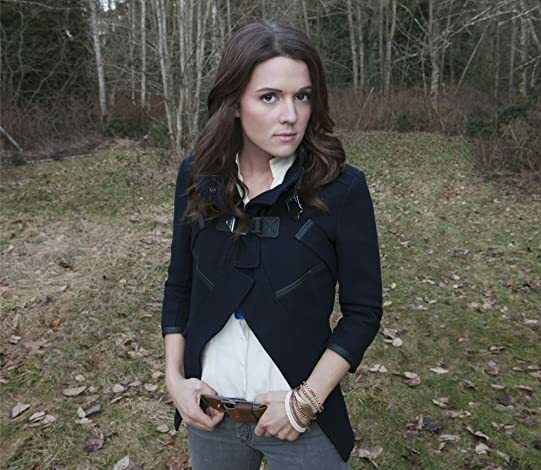 ≡ Bear Creek is the fourth studio album Brandi Carlile, hailed as "the best voice in indie rock" by Paste Magazine. ≡ The first single from the album is "That Wasn t Me." The soulful piano-based track showcases the warmth and subtle power of Carlile s vocals. It is the cornerstone of an earthy collection that embraces all of her musical influences folk, pop, country, rock, gospel and blues. From the spirited "Hard Way Home" and chilling country blues of "Raise Hell" to the poignant "Rise Again" and ethereal "Just Kids," Carlile manages to be at once plainspoken and poetic. The rich imagery of "Keep Your Heart Young" evokes childhood dreams with such unerring accuracy it is apt to elicit renewed vows to never grow up while "Save Part Of Yourself" and "100" wistfully underscore the lifetime impact of a lost love. 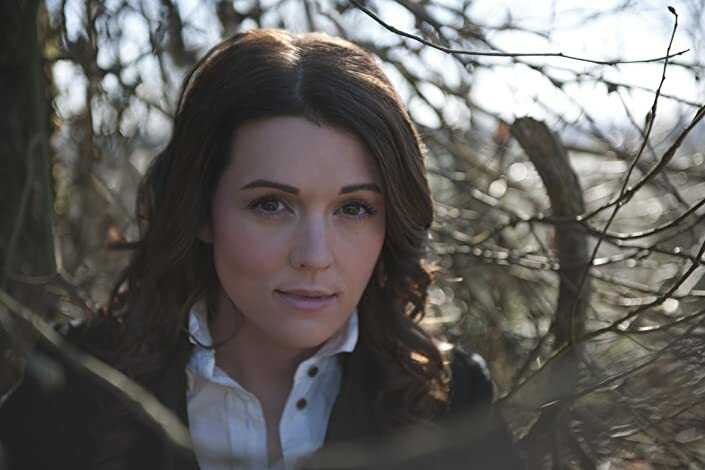 ≡ Brandi Carlile has spent the better part of the last decade traversing the planet, bringing her music to an ever-growing fan following. “BEAR CREEK” sees the singer/songwriter using the experience garnered from life on the road to elevate her already astonishing artistry to a new plane. 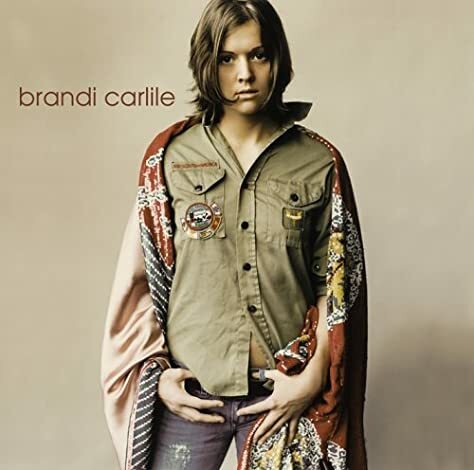 The album is marked by Carlile’s earthy, naturalistic approach to recording, with songs like “Raise Hell” and “That Wasn’t Me” set apart by intuitive, inventive instrumentation and Brandi’s remarkable vocals – by turns nuanced and raw, brilliantly uninhibited and always expressive. “BEAR CREEK” stands as a major milestone for Carlile, the moment in which she integrated the knowledge and skills accumulated over the past eight years to craft her most personal and definitive work thus far. ≡ From her earliest days on Seattle’s coffeehouse circuit, Carlile has demonstrated an uncommon gift for connecting with fans. 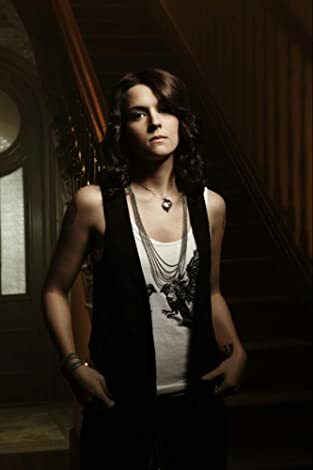 She has toured non-stop since the release of her self-titled debut album in 2005, growing her audience in a grassroots fashion with relatively little commercial support. 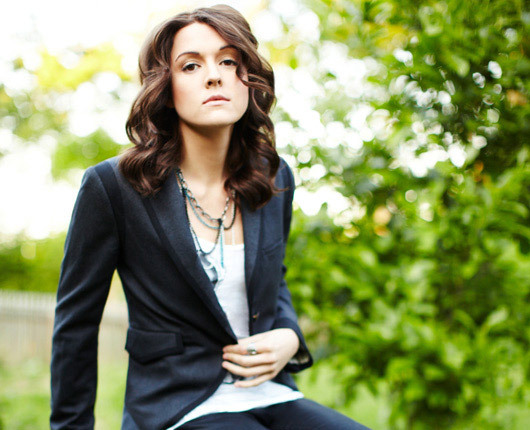 Along with innumerable headline dates, she shared stages with such artists as Dave Matthews Band, Ray LaMontagne, and The Avett Brothers, as well with local symphony orchestras in Spokane, Portland, Louisville, and her own beloved Seattle (the latter of which was captured on 2011’s album “LIVE AT BENAROYA HALL WITH THE SEATTLE SYMPHONY”). ≡ Carlile’s fans are passionate about her music – and passionate about making a difference in the world, leading her to create the Looking Out Foundation in 2008. It assists the chronically underserved by channeling hundreds of thousands of dollars and resources to organizations devoted to the arts, women’s rights, public health, scientific research, and the eradication of hunger. Brandi helps fund the Foundation by donating $1 from each concert ticket she sells, as well as performing at several benefit concerts annually. ≡ Of course, Carlile has also spent significant time in the studio, honing her songs and sound on 2007’s stunning “THE STORY” and its equally extraordinary follow-up, 2009’s “GIVE UP THE GHOST.” Having been guided on the two acclaimed albums by super-producers T Bone Burnett and Rick Rubin, respectively, this time Carlile was determined to steer the new recordings herself. ≡ Bear Creek, a converted turn-of-the-century barn nestled among the tall trees of Woodinville, Washington, proved to be ideal. In March 2011, she brought co-producer Trina Shoemaker, a Grammy Award-winning engineer and mixer, and members of her “road family” – including multi-instrumentalists/songwriters Phil and Tim Hanseroth (a.k.a. “The Twins”), cellist Josh Neumann and drummer Allison Miller, as well as her touring sound engineer and guitar tech – to Bear Creek and together they spent the next month recording. ≡ Embracing a “rough-around-the-edges sonic appeal” – directly rooted in the band’s live approach –they veered off into new musical territory, fusing classic rock ‘n’ roll, folk, bluegrass, and “pure soul” to create their own distinctive sound. ≡ True to form, Carlile embarked on a major tour soon after completing the Bear Creek sessions. The trek turned out to be a difficult one, encompassing nerve-wracking lightning storms as well as a milestone birthday. The urgent rave-up “Raise Hell” was penned that very day. ≡ Said songs – which also include “I’ll Still Be There” and “Keep Your Heart Young” – have an irrefutable country flair. Though born and raised in the Pacific Northwest, Carlile has a deep connection to classic country music, evinced by her appearances on A Prairie Home Companion with Garrison Keillor and performances on the legendary stages of Nashville’s Ryman Auditorium and Grand Ole Opry House. Holding true to the nature of her new songs, she headed to Music City USA to record them. Her good friend Miranda Lambert recommended Frank Liddell, while other musicians suggested Jay Joyce (known for his work with such diverse artists as Emmylou Harris and Cage The Elephant). Carlile liked both producers and suggested they team up for a session. ≡ Having put so much of herself into “BEAR CREEK,” Carlile is now eager to introduce the album to her extended family – the audience. Summer 2012 will see her biggest headlining tour to date, with stops at such world famous venues as Red Rocks Amphitheater (outside of Denver) and Wolf Trap (Vienna, Virginia).